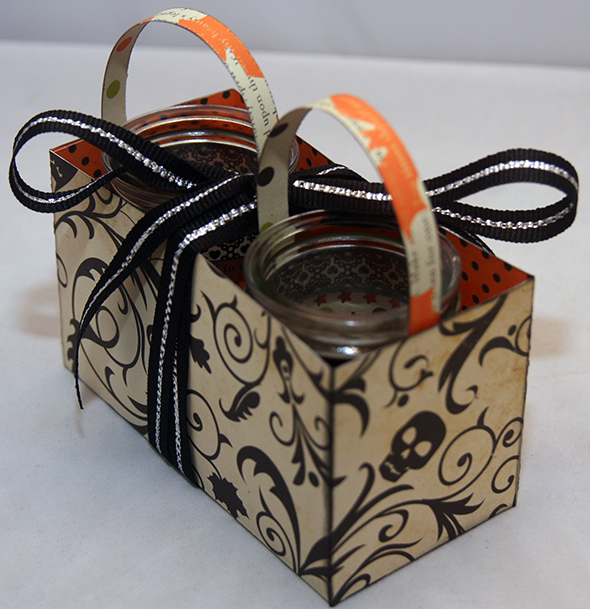 Nicole here today to share a fun little Halloween project. I love to recycle as much as I can. 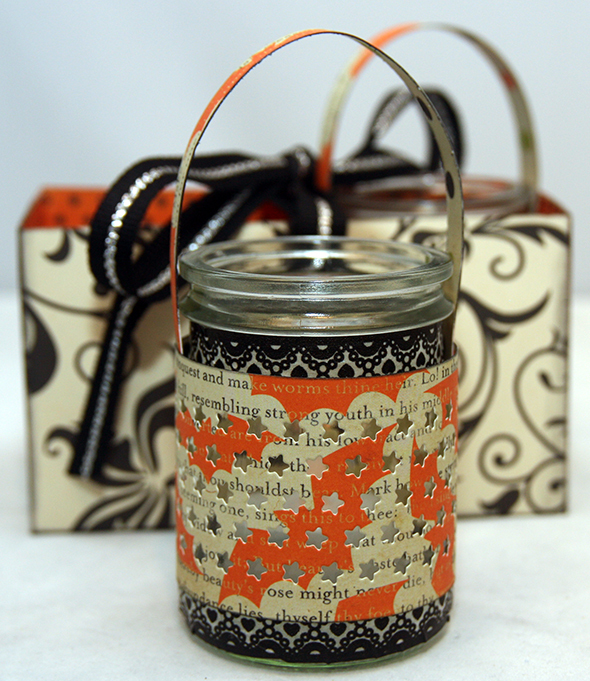 I sometimes have trouble throwing out little jars because I feel they can be reused! This is one way that I found of re-using them…. Clean out some little glass jars. 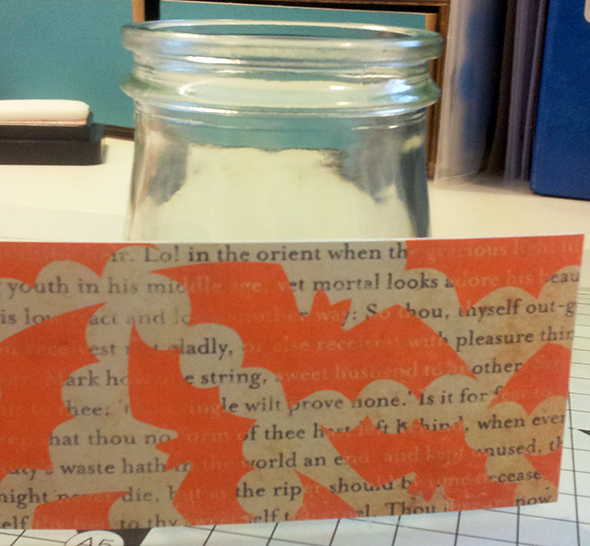 Cut a strip of paper long enough to go around the jars. 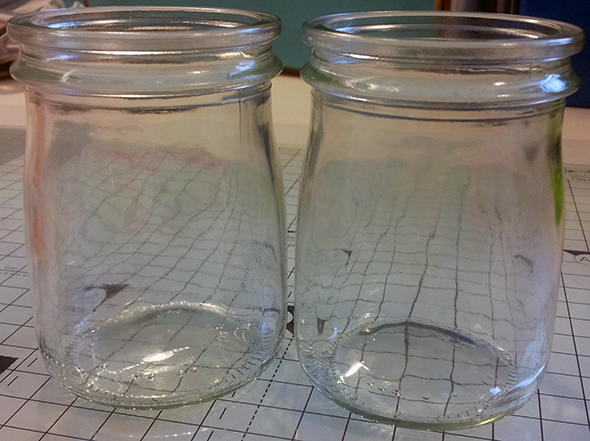 You can make them the full height of the jar but if your jar is curved this is very hard to attach. I chose to make mine tall enough to go around the middle of my jar. 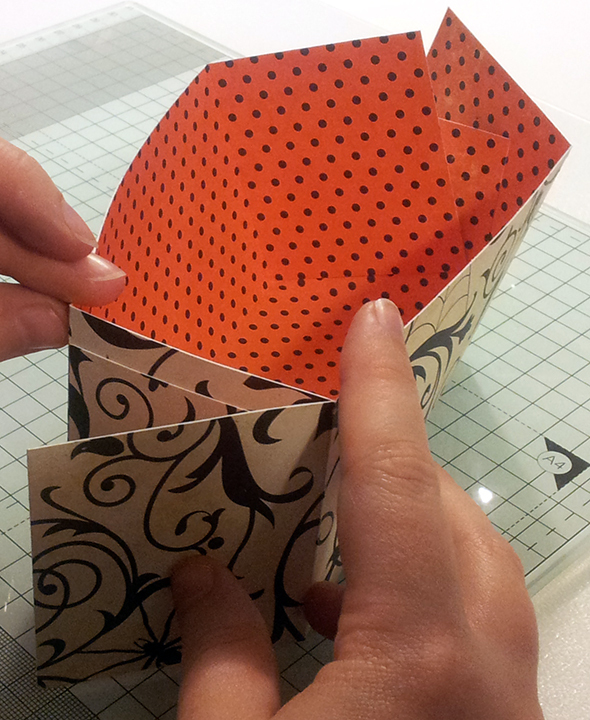 Cut a pattern from your paper – to allow light through. 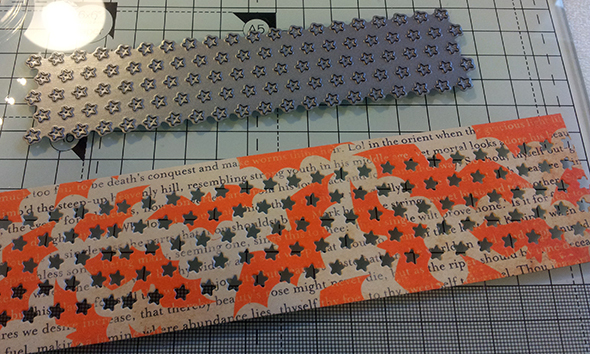 I used a star border die from Simon Says Stamp. 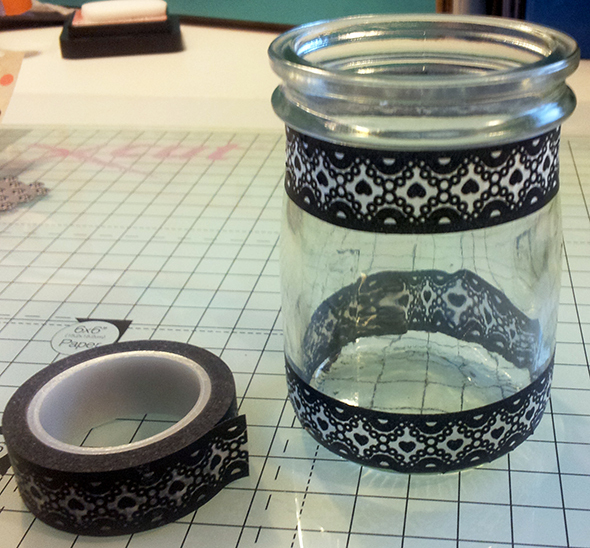 Use to washi tap to wrap around the top and bottom of the jar. 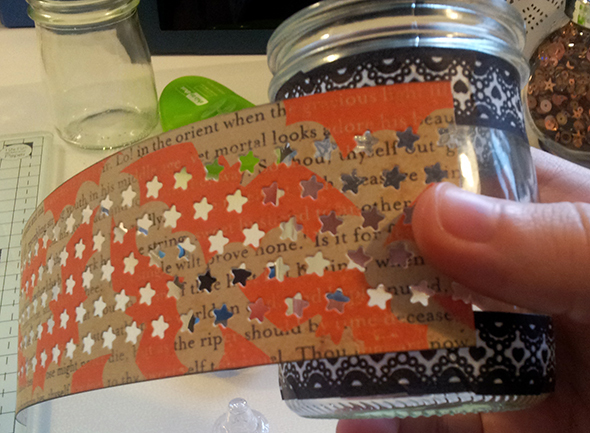 Washi tape is semi transparent so light can shine through it. 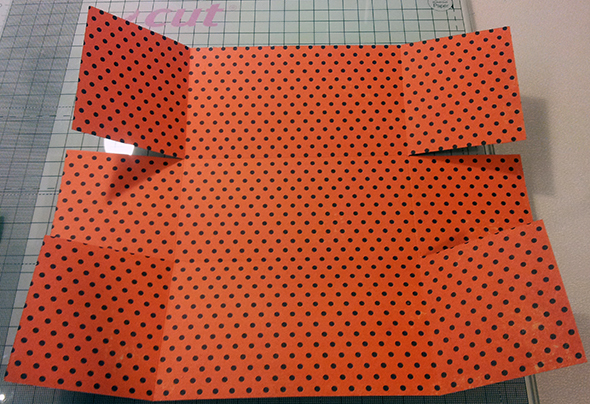 Stick your paper panel around the middle. I used glossy accents. 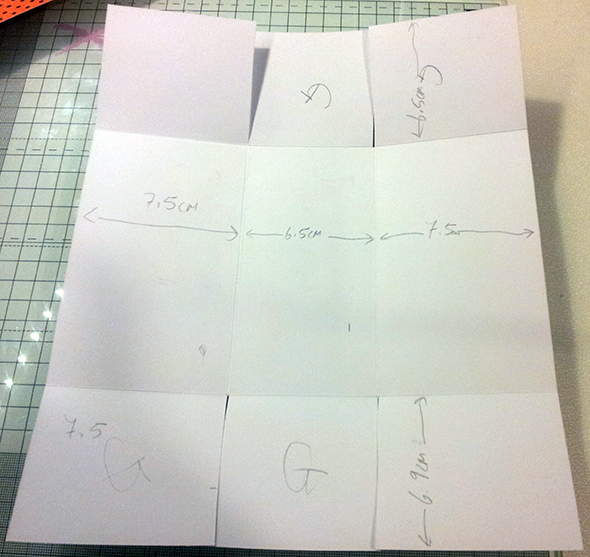 When you put the paper on the glass you have to be careful and hold it for a few seconds until the glue dries so that it doesn’t let the paper slide on you. 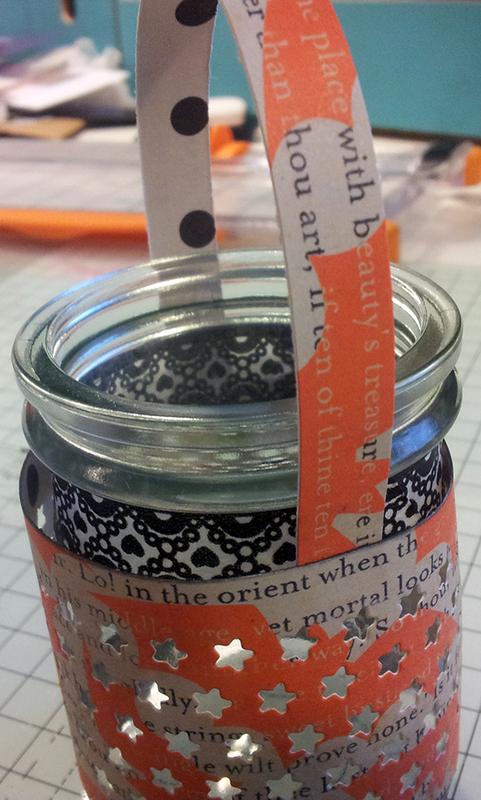 I used another strip of the card to create a faux handle for a lantern look. I created a little box to put the two of these in as a gift. 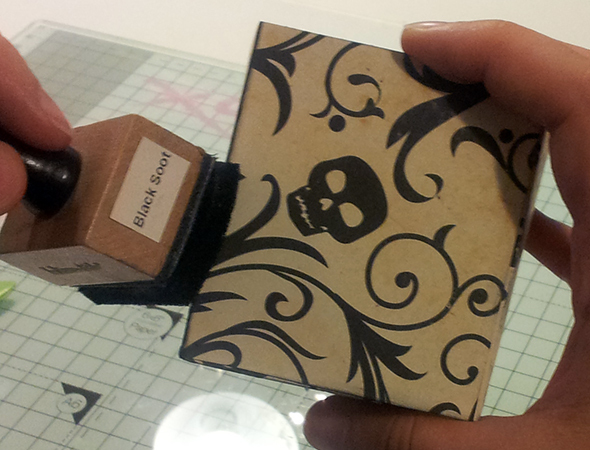 I made up the template based on the width and height of the jar – you can adapt to size your own jars/containers. 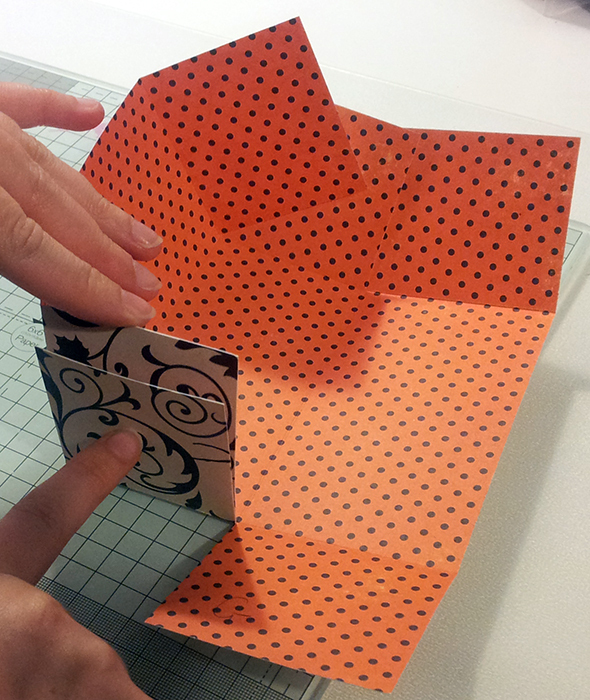 Glue the box together, ink up the edges if you wish and then fill with your little gift! Here is the finished set with the lantern lit up – use an electric tea light for this!! 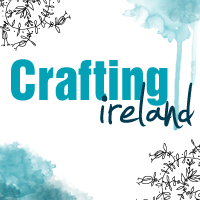 All packed up ready to go…. I hope you enjoyed this quick up-cycling tutorial.